Mumbai-based thrash metal band Zealous recently released the live DVD of their tribute to legendary bass guitarist Cliff Burton. The DVD, which was released earlier this month on October 3, is being promoted all over the country, much to the delight of enthusiastic takers. The DVD was recorded in Akash Studio and it was mixed, mastered and engineered by Akash Sawant. THE DVD was shot at a Cliif Burton tribute gig performed by the band in Mumbai in the last week of September. Released at a function aired live by B-69 Bajao, the tribute to Cliff Burton DVD has been directed and produced by Vicky, frontman of the band Zealous. 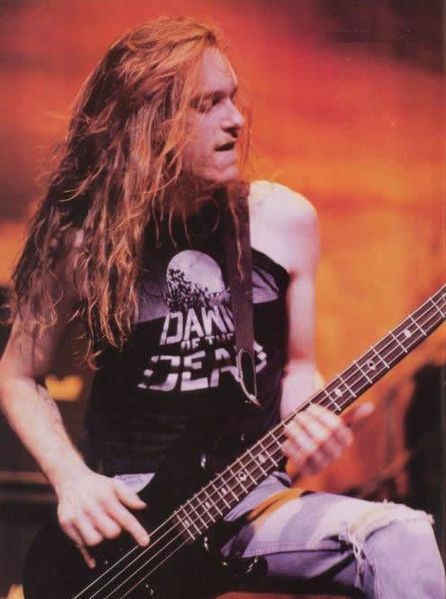 Cliff Burton is a name which is much revered in the music fraternity, the metal heads in particular. An American musician, Burton is better known as the bass guitarist of all time great thrash metal band ‘Metallica’. One of the earliest members of the band, Burton was part of Metallica from 1982 and performed in the band’s debut album, Kill ‘em all. He performed on two more Metallica albums, Ride the Lightning and Master of Puppets, both of which met with major commercial and critical success. A master guitarist, Burton was known for his “lead bass” approach, in which the bass played a melodic and soloist role, in addition to holding down the harmonic and rhythmic foundation of the band. He died in an unfortunate bus accident and was posthumously inducted into the Rock and Roll hall of fame with Metallica. Zealous is also planning to release their debut EP shortly, “Within a couple of weeks we will release our debut singles which features 3 tracks. 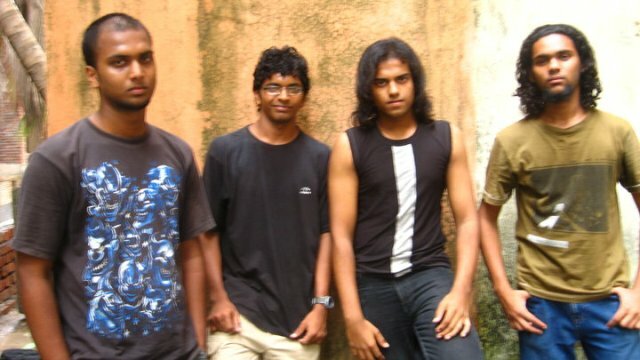 We hope that everything works out, so that we can release our EP in the Christmas time.” There seems to be no stopping this band which recently got featured in Encyclopedia Metallum: The Metal Archives http://www.metal-archives.com/band.php?id=3540315363. How often is it that a band from Northeast India gets the opportunity to open for a mega international rock band? And when the international outfit in question is someone of the stature of Lamb of God, one realises that the opening act has something special. For Junk Rock band from Mizoram ‘Boomarang’, which is currently one of the hottest outfits in the Indian rock circuit, the answer lies in talent coupled with lots of hard work and perseverance! After all, it is not every day that a band from Mizoram, where hardly any opportunities for the emergence of quality bands exist, makes it to the top league. 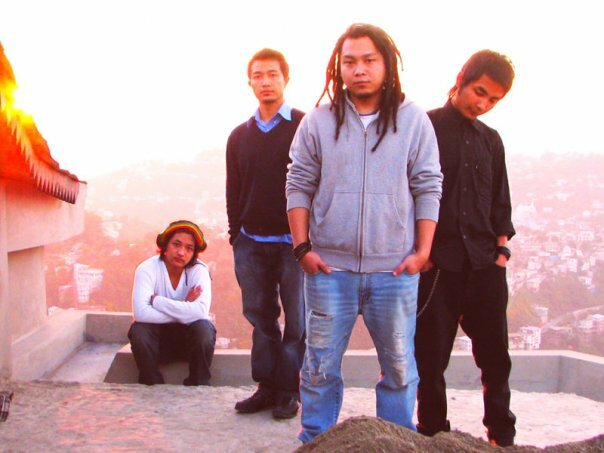 From its humble beginning, spanning performances in Aizawl, Guwahati and other places of the region to today be travelling all over the country, the rise of Boomarang has been simply meteoric. Right from being featured in the “Top 10 Indian Acts to watch out for” list by the Rolling Stones magazine, the band also has to its credit the distinction of having crossed international boundaries when it performed at the Korea-Indo fest 2008, the highlights of which was aired globally on Korea’s leading television network, ARIRANG channel. Meanwhile, the members have also made a mark with their own individual performances; bassist Joshua, for instance, picking up the prestigious Jack Daniels award for Best Bassist this year. The band members, however, feel that the best is yet to come. Excerpts from a conversation I recently had with Boom, the frontman of the outfit. AD: Looking at your early days, how does it feel to be counted among the best bands of India today? Boom: It is a great honour for us, no doubt, but we still have a long way to go. We are still growing as a band and we will continue with our passion till we break into the international level. So far it has been a beautiful journey, full of lovely memories that will last a lifetime. AD: Any special remembrance of the Korea-Indo Fest 2008? Boom: Performing in that fest was amazing, to say the least. Out heartfelt thanks to the organizers for believing in us and we look forward to their support. The best part was watching the highlights of our performance in an international television channel with our friends and family back home. 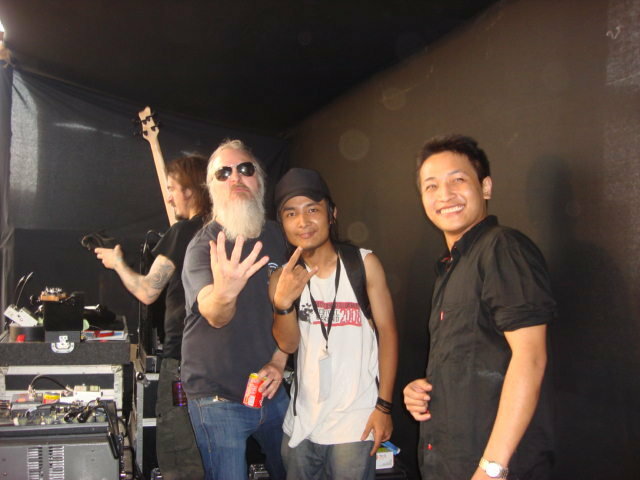 AD: How did it feel opening for ‘Lamb of God’ at the Palace Grounds in Bangalore this year? Boom: We were very weak, tired and weary on stage since we had two continuous gigs at Hard rock Café and Zara Tapas bar the past two nights. We had to wake up at 8 in the morning, and the sun glaring down at us really sapped us out of our energy. But once on stage, our energy levels received a major boost with the massive support we received from our fans and the rest! Boom: The feeling is phenomenal. It is like one thing that you can be really proud of, in spite of all the glitches and hardships that you face; something that you might as well want to carve on your tomb-stone.  It has made us start taking a different view/ perspective of things and our choices – both professional and personal. 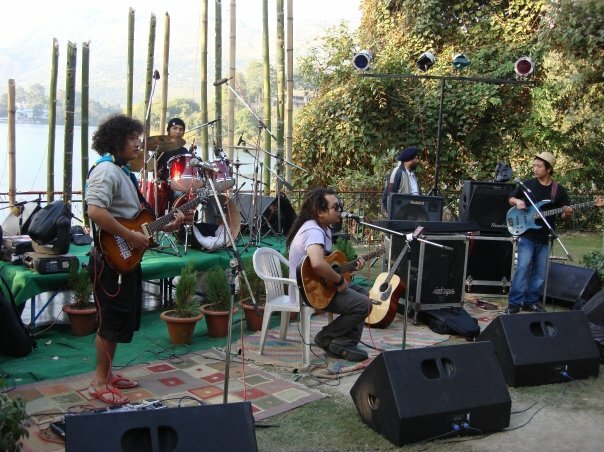 AD: How would you rate the facilities available in Mizoram for the emergence of quality bands and musicians? Boom: To be frank, there are very few opportunities for bands and musicians to survive here unless, of course, you decide to go solo or score music for jingles, ring tones and the like. Boom: You can give private lessons or open a studio (Computer-based recording, the trick is to get a cheap firewall soundcard which will come along with free music software – cubase or nuendo, etc. Master the software, invite some friends to come over and record some music. You can then charge them a few rupees and ultimately have your very own private workstation/home recording studio). The second option for upcoming bands is to enter music competitions outside the State so as to earn some extra cash. AD: Quite a herculean task! Boom: A band has to start small and once they start getting invitations for performances, reap the benefits of touring. Once you start travelling for your performances, things tend to get okay from then on. I say this from experience; I believe we are just laying the road for the future generations of musicians in our State! Boom: Anything can happen. Let the future decide. AD: Any plans of an album? Boom: We are currently on it. While we will maintain our Junk Rock (Jazz + Funk + Rock) genre, it will contain a lot of traditional Mizo elements. We hope to release it by the fall of this year. Indo-Chinese relations received a shot in the arm when the 2010 World Congress of the Chinese Elite held at Xian on October 9 presented a special award to an Indian for “International Friendship and Emissary”. 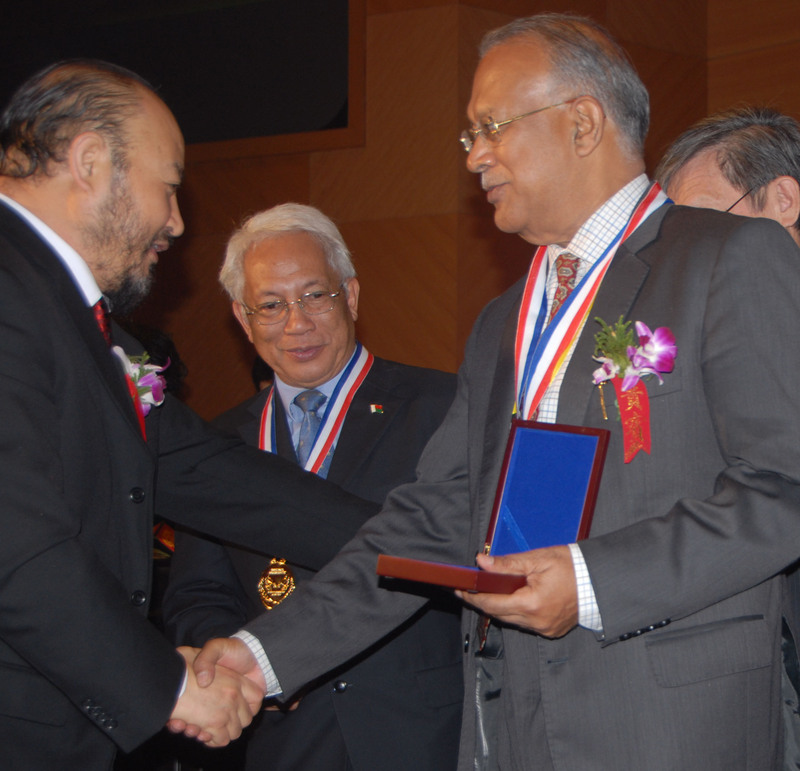 The Overseas Chinese elite 2010, which was participated by a formidable and influential 600 member-strong Chinese community diaspora from different parts of the world, saw the award being presented to Indian Chamber of Commerce chairperson Mahesh Saharia, who is also the Founder Chairman of the Center for Promotion of India China Cooperation. The presentation of the award has brought good cheers to the people of Assam. This is more so because Mahesh Saharia, who is a member of the well-known Saharia family of Dibrugarh district in Assam, has become the only Indian to have been presented with an award for Indi-Chinese co-operation and peaceful relations, that too in an event meant specifically for overseas Chinese. China has already become the second largest economy after the United states replacing Japan this year and China has become the largest trading partner of India, the estimated total turnover estimated at 60 bln US $. But many feel that India and China have to now think beyond just trade. Meanwhile, receiving the award Saharia stressed the major roles of both China and India in the global order in the coming years and the need for both countries to improve mutual relations. “Close cooperation between the two countries hold the future of mankind – be it in the matter of food security or world climate change,” he said. Describing the present trade of 60 billion between both countries as only a tip in the iceberg, he said that both sides have a long way to go in realising their potentials. If Northeast India is the rock capital of the country, one of the brightest gems of this capital would be the State of Nagaland where a vibrant and thriving music culture exists. T In a State that has borne the brunt of separatism demands and resulting violence, the music movement, however, has been surprisingly fast-paced. With a number of music cafes springing up in the city and with every social gathering being seemingly incomplete without some “good ol’ music”, melody truly defines life in Nagaland, and can maybe now just be used to gauge the extent of peace and stability in the State. Among the new breed of musicians who have come up in the recent past, I would make special mention of Alobo Naga and the Band – undoubtedly one of the most talented group of young musicians in the music circuit of the Northeast. The band is led by powerful vocalist Alobo Naga, who had earlier been shortlisted for the Suncance International Music festival in Montenegro from the Northeast. The other members are Theja Khate, a classical singer who sometimes handles the percussions, Akum Jams on the lead guitar and Fung Walling on the bass guitar. Another major attraction of this outfit is the presence of DJ Sumika Yepthomi, who plays alongside the band – a rarity in the rock scene of the region. Its all dance and music in Jatinga! Every year, during the foggy, windy and moonless nights of August, September, October and November, thousands of birds come to a unique place in NC Hills district of Assam to commit suicide. 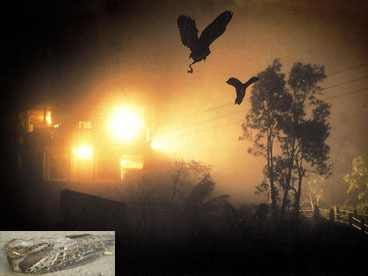 Both migratory and local birds – King Fisher, Tiger Bittern, Little Egret, etc – become part of this unique phenomenon, when they, after getting attracted and disoriented by artificial lights, make a sudden dash to the ground and to their deaths. 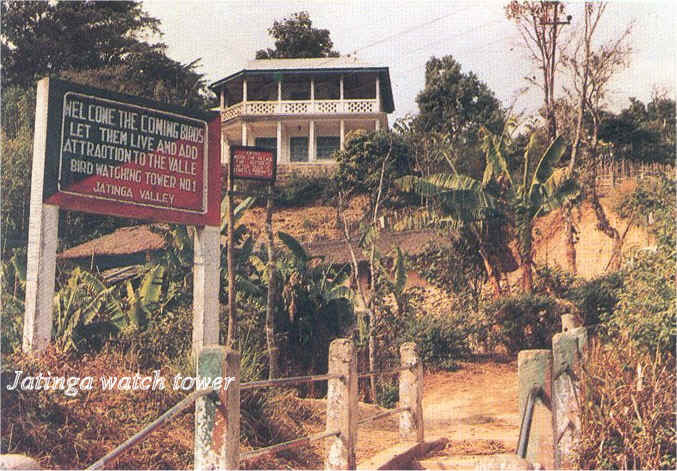 This unique place is Jatinga, a village on a ridge facing the Borail Hills in the Dima Hasao District of Assam. Though a land of enchanting beauty in terms of natural wealth and diversity, the Dima Hasao District has gone through turbulent times on account of two-decade long insurgency movements and ethnic turmoil. The situation has now stabilised to a certain extent in the district but the common people are still confused and clueless about their future. This is despite the fact that this district has a lot of potential in many fields, mostly in the tourism sector. With a view to addressing this peculiar predicament of the people of the Dima Hasao District, an effective strategy is now being planned in the form of a festival that will showcase the rich and diverse ethnic mosaic of the people through a kaleidoscopic presentation of art and craft, music and dance, culture and cuisine of the various ethnic groups. A district that has borne the brunt of insurgency and corruption, it is imperative that the focus of the youth is now diverted by giving a cultural stimulus. As such, the Jatinga festival is a very good start indeed. The Office of the Jatinga Festival Organizing Committee informed that the festival is a joint collaborative effort of the Dima Hasao Autonomous Council (DHAC) and the Civil Society of the district, including the various community Apex Bodies, Mother Associations, Student & Youth Organizations, NGOs, Clubs and Media. “A host of stakeholders – right from the local people to the international community – are being invited to participate in this festival. So, thousands of people, including the dignitaries, government officials, tourists, policy makers, opinion makers, journalists, media managers etc. are expected to participate in this event,” the source informed. Besides adventure tourism, film screening, meet of ornithologists, bird watching, traditional cuisine, traditional dance, etc, a fashion show and rock concert is also being organized to attract the youngsters. A commendable initiative and I wish the organizers the very best! Guwahatians, who are generally accustomed to frequent doses of heavy rock, were in for a welcome change recently; musically speaking, that is! The reason was a live performance of litterateur and progressive jazz artist Amit Choudhury’s band, This is Not Fusion. And in case the music got too ‘heavy’, (musically that is!) 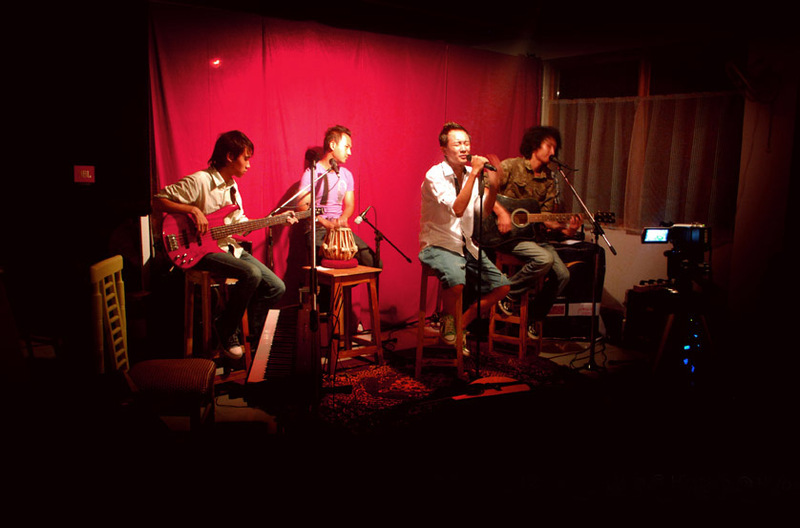 for the rock-loving Guwahatians, Kolkata-based club band Hip Pocket were also invited to perform the same evening. A prominent literary figure of the country and in Britain, Amit Choudhury, who is also trained in the North Indian Classical tradition, is acclaimed globally for his experimental project, This is Not Fusion. With two albums to his credit, his project was born as a result of his desire to explore further into the intermingling of Indian and western music traditions. Having performed all over Europe, Amit also has the distinction of performing at the London Jazz festival, the Brecon Jazz festival, amongst others. The Guwahati concert, held in the tennis lawns of India Club, saw Amit Choudhury performing a set of his most well-known numbers, including his prized take on George Gershwin’s Summertime. But when it comes to the Northeast, nothing can delight the audience the way rock can. And so it happened when Hip Pocket, led by the veteran Nondon Bagchi, took on the stage. With a new vocalist, their music didn’t quite meet up to the expectations one has from a band which has been around for so long. That, however, didn’t have much of an effect on the enthusiasm of the audience; some of whom were soon seen shaking their hips in sync with Hip Pocket! In what can be termed as a major attempt to promote the musical traditions of the country on a larger scale, an organization dedicated to the sustenance and promotion of folk music and musicians is gearing up to organize an international music festival, albeit of a different kind. The Kolkata International Music Festival 2010 (KIMF 2010), scheduled to be held in multiple venues in the City of Joy in December, will be the first music festival in the country dedicated entirely to the promotion of folk music. Exhibitions, seminars, panel discussions, film shows and workshops on folk music would be part of KIMF 2010, which would also witness “huge participation of folk practitioners from all over the country and abroad”. “We will showcase over 60 forms of folk and tribal music from India and abroad. The highlights are the inclusion of foreign performers from Lebanon, Turkey, Korea, Mongolia, U.K., USA, Bangladesh, Ireland and Singapore. Nearly 400 artistes will perform at the festival to be held from December 15 to 18 in multiple venues across the city,” said Dutta. While many would tend to label folk music as being “outdated” and not in synch with the times, the organizers are betting high on the entertainment quotient. “KIMF 2010 will not be like your normal folk festivals. 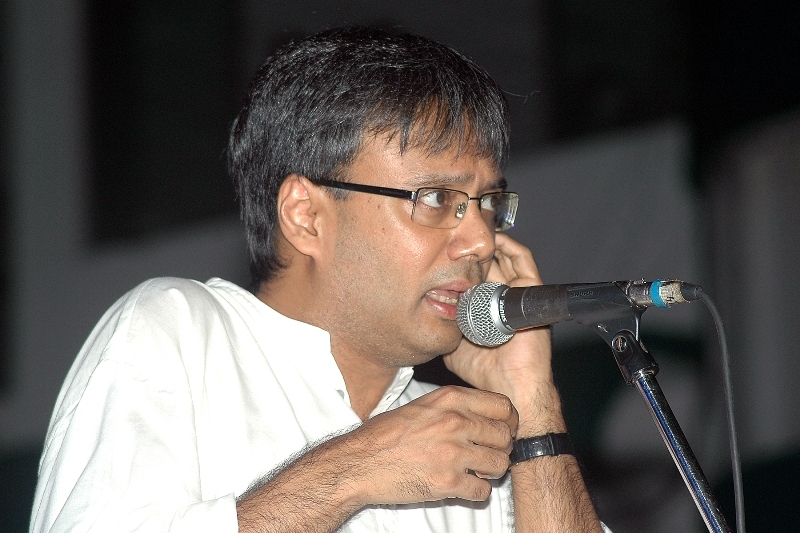 While there will be display performances of traditional folk instruments and musical forms, a lot of emphasis will also be given to the need for adapting our folk music to suit contemporary times,” says Dutta, a well-known folk musicologist who has been documenting musical folk traditions for almost three decades now. He is also the secretary of Song of Soul, which has been working for the promotion of folk music and the uplift of the lives of its practitioners. Many of the tribal folk music forms are dying a slow death with more and more folk practitioners abandoning their art forms to pursue other modes of employment. “Folk musicians are barely able to make even ends meet due to the paucity of performance and low artist fees. Nobody is interested in folk anymore,” rues tribal musicologist Dharam Singh Teron who has been documenting the oral music traditions of the Karbis. Given the sorry state of affairs, we can only hope that festivals like KIMF are able to make a difference.